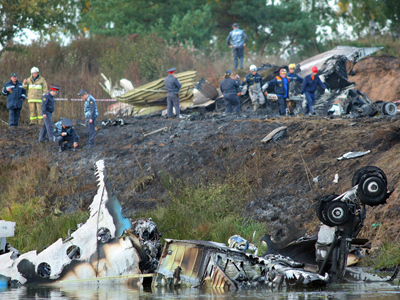 A Yakovlev-42 plane crash in central Russia has taken the lives of most the hockey players on board. With fewer than a hundred Yakovlev-42 planes still flying around the world, this model has a record of eight crashes. The Yakovlev Yak-42 plane series was first designed in the 1970s in the USSR to replace obsolete mid-range Tupolev passenger jets. The Yakovlev plane in its various modifications can carry up to 120 passengers, while the maximum take-off weight is 57,500 kg. Numerous Yak-42 planes have been sold to other countries, such as Macedonia, China or Cuba. During the Soviet-Afghan war, Soviet troops employed a number of Yak-42 vehicles. One of the most recent Yak-42 crashes happened in May 2003 on a flight from Kyrgyzstan to Turkey, when a plane crashed into a mountain, taking the lives of all 75 people on board. Yakovlev-42 planes are obsolete, but still reliable, says prominent Russian test pilot Magomed Tolboev. “The question is how exactly this Yakovlev-42 plane had been serviced and operated. These are technical questions and we need to wait for the Interstate Aviation Committee to provide their conclusions,” Tolboev told Interfax news agency. Russia’s Prosecutor General Yury Chaika has commissioned a check of the company Yak-Service, which owns the aircraft that crashed near Yaroslavl. But Russian aviation authorities say the plane was functioning properly before the take-off. “All the engines were working, the plane’s resources had not been depleted,” the authorities told Prime news agency. The plane had a record of 6,203 flight hours and had made almost 3,000 landings, they added. 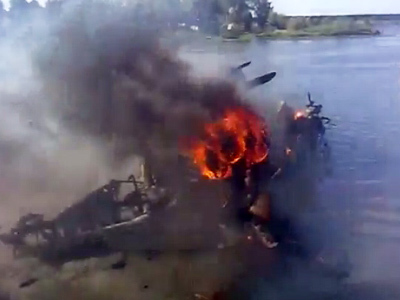 Investigators have only just begun collecting evidence and data from the fatal Yak-42 plane crash. All possible causes for the tragedy are being considered – but sources within the investigative teams say the main focus is on technical failure and human error. Mark Weiss, a former American Airlines pilot, told RT that the plane could have hit an antenna, as some reports have suggested – but that wouldn’t have been enough to bring it down. He also spoke about the plane itself, a Yakovlev, or Yak, 42, calling it a reliable aircraft if maintained properly. According to Mr. Weiss, the plane is very similar to a Boeing 727, and can be used safely for many years. 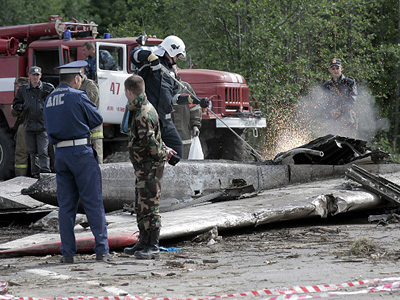 The crash has also provoked the prosecutors to urge a total examination of all Yak-42 aircraft operating in Russia, reports Interfax news agency. ­Besides the company, the prosecutors will examine local aircraft licensing bodies and Tunoshna airport services. The Tunoshna airport is located 17 kilometers from Yaroslavl (some 260 kilometers from Moscow) and was previously a military aerodrome. It can serve fixed-wing aircraft and helicopters of all types, including super-heavy planes. Tunoshna can receive 15-17 jets a day, and register up to 150 passengers an hour. The hub is widely used by local sport clubs Lokomotiv ice-hockey club, Shinnik football club, as well as by their guest rivals.